At first glance we thought this was a campaign for sunglasses, but no. 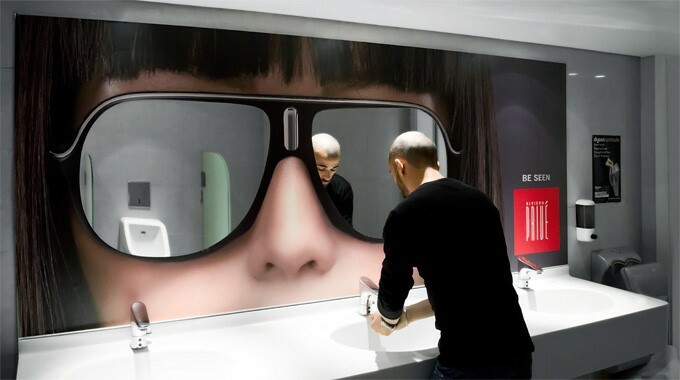 This campaign of massive vinyl stickers hit the bathrooms of Beirut’s trendy spots to draw attention to Riviera Privé. It is an exclusive beach, pool and bar and lounge area in one of Lebanon’s most famous hotels, the Riviera Hotel www.rivierahotel.com.lb.